Here is our laundry list of favorite places to either find free or paid website images for you to use and why we like them. We like Pixabay because you can find good quality website images and icons with no cost or pay by buying the author a cup of coffee. No matter which of these you choose as your image resource, it is always advisable to read the usage rights. In some cases, even if the image is free to use, you might need to attribute the creator publicly. The creator of the image sets the re usage rights they wish to allow for each image. You may encounter images with Wikipedia re-use classifications. Check out Wikimedia.org for more detailed information on these usages. 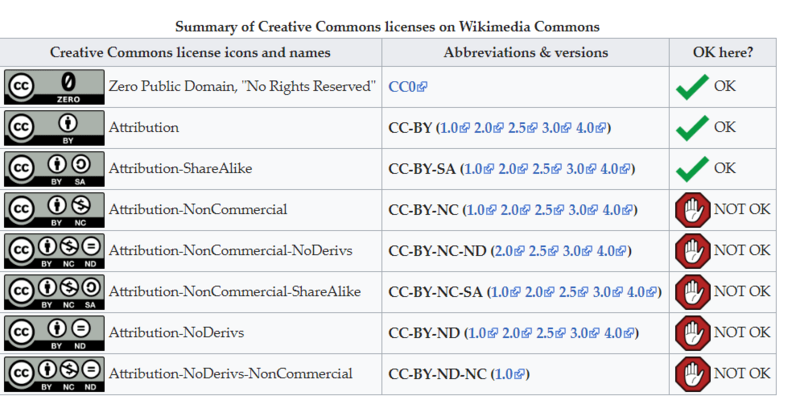 The image below gives a summary of the Wikimedia licensing symbols, abbreviations, and usage allowances. Typically, those noted with Zero Public Domain are free for reuse as the creator has given them up to what is termed the Public domain. 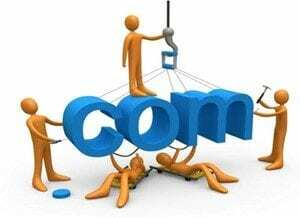 The “Public Domain” simply means that the image is in the state of belonging or being available to the public as a whole, and therefore not subject to copyright.